Let's talk about LEGO Minifigures Online. This is a game that you'll soon be playing, because I said you should, and with haste. Stop reading, go download it, play it, and then come back. You don't have to, but it's a pretty awesome game and I think it deserves a little bit of attention. Of course, I do have to highlight the facts - it's targeted at the teenager demographic, and as such not only is hyper kid-friendly, but takes away most social aspects to protect those who can't protect themselves online. Which, big thumbs-up, but this throws it into its own category of MMOs. Anyway, let's skip over all the fluff and get down to my blow by blow of downloading and playing this game. The download was small and short and uneventful. Registration was short, but required verifying that I am indeed my own parent. Anyway, moving along, the first thing the game presents to me is starting "crews," your first three minifigures. I obviously choose the best option, a Megaman / Space Marine hybrid, a Hollywood Starlet who uses her Oscar to smash face, and an obviously way too happy not to be drunk Sea Captain who summons tornadoes and throws down anchors in the face of the opposition. As previously mentioned, this game is hyper kid friendly and as such you don't really pick your name. You get to name generator and can toy with the selections. I took the default name, "Lucent Floor Dog" as it seems very fitting. 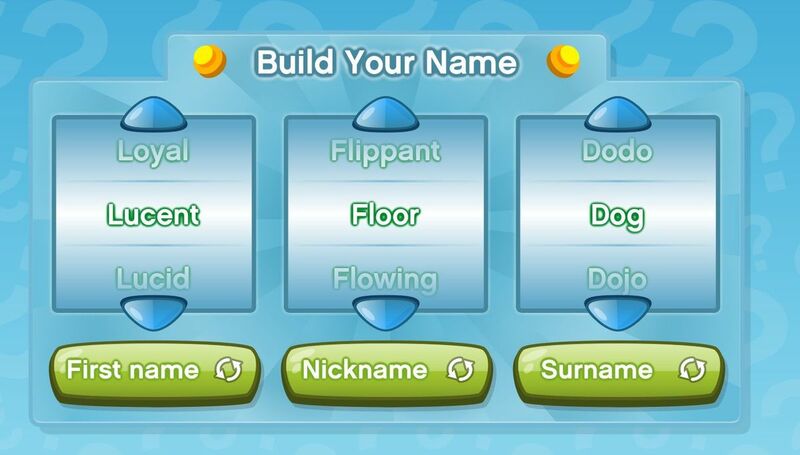 Everyone in the game will, of course, know me as Floor. Sweet. Now, the game begins and I'm going to have to put up an EMOTIONAL TRAUMA WARNING. Well, as with most kid-friendly / young adult games, as soon as you start playing they explain to you how your friends are gone and, with your parent's credit card, you can be the hero to rescue them. This gets a 6 out of 10 on my scale of "horrifying first experiences in the monetization of children's games." Previously on this meter was Free Realms who gave you a puppy at the start of the game and let you know it's going back to the pound unless you pay up (this scored a one million on this list of horrifying first game experiences). To give the game some credit, you can earn the premium currency by just playing the game. The monthly subscription isn't specifically that expensive ($7.99) and 1250 diamonds are $4.99. Of course, each pack is 750 diamonds meaning you have to buy a larger pack or have some extras sitting around in order to buy more than one pack (which has one figure to a pack). The monthly subscription is a better option. 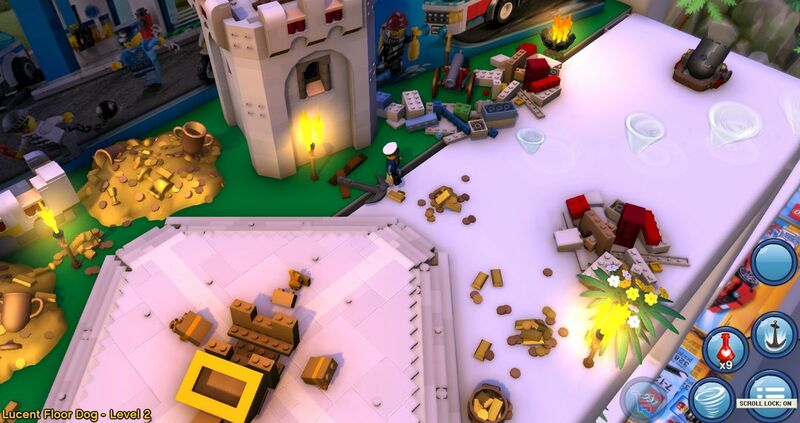 You get 200 diamonds (50 a week), more XP, pocket adventures (where you can go and have a chance to earn a minifigure), and a free minifigure each month. Diamonds are also earned in the game - so while there is some eh strategies here (one pack is 2750 diamonds, it uses the 750 to make you go hrm, that's a good deal), there isn't any "you have to pay" mechanics. Anyway, the first few maps were… surprisingly fun. Starting off with Space Marine / Megaman, he hand cannoned his way through while jet packing with ease, as expected of a young adult game. However, something took me by surprise, it was… actually fun somehow. I don't know how it was fun. I don't know why it was fun. It was like playing the Diablo that you always wanted to play, but couldn't, or you couldn't find your Diablo II CD. Anyway, the gameplay was… satisfying. As I became the Hollywood Scarlet, beating gun/sword toting pirates in the face with my Emmy, I was laughing while at the same time clicking madly away. Before long I was too happy to not be drunk Sea Captain, who summoned tornadoes and dropped anchors on the evil-doers. The fun was going well up until I landed at the first pay gate. Instances require you to become a member, because they lead to you getting minifigures which I assume are a pay only thing - to be fair, the digital currency is earnable in the game. It's just, a little grindy, that's all. You also get unlocks for completing various tasks. I got an extra figure for completing the tutorial areas. Which is cool. Some crazy highlights: the graphics were actually REALLY good. The gameplay was actually REALLY good. Maybe I'm crazy. Maybe I'm not. Who knows. Anyway, when I'm bored I'll probably boot this game up and play through it some more because it's cute, fun, and creative. It's simpler to play than the console LEGO games and I assume you could possibly play with friends as well, assuming that you have friends down with the idea of their characters being too happy to just not be wasted Sea Captain. I have been too busy trying to play games to come up with anything witty this week. Other than the fact that I wish couponing was easy. Now you have to go online, load coupons onto your shopping card, then hope they work at checkout or clip from the newspaper and deal with the fact that coupon doubling at different places is so your mileage may vary that you have to strategize like crazy to save a few bucks on groceries. Of course, 5 hours couponing for like 5 bucks saved is a dollar an hour. To read the latest guides, news, and features you can visit our LEGO Minifigures Game Page.